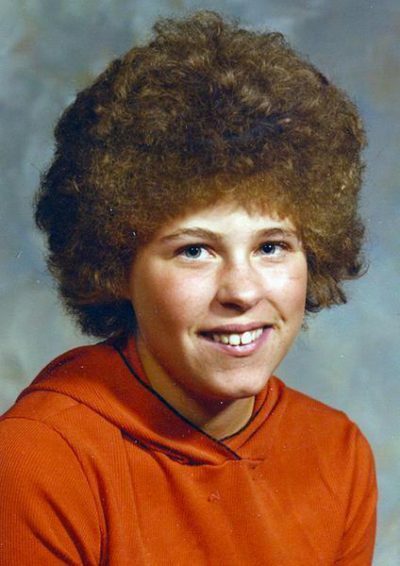 Tammy A. Vincent was an American teenager who was murdered in September 1979. Her body was not identified until 2007, twenty-eight years after her murder. Despite the fact that her identity was discovered, the case remains unsolved, although a prime suspect has been selected. It was believed she may have been a victim of the notorious Green River killings, which have an approximate number of 49 victims while she remained a missing person. Gary Ridgway has since pleaded guilty to most of these killings, plus six additional murders. However, Vincent’s case has not been officially solved. NCIS cast member Pauley Perrette collaborated with the popular television show America’s Most Wanted in 2009 to work on solving the case. Tammy Vincent grew up on a farm. She was seventeen years old when she ran away from home and likely engaged in prostitution as a way to survive. She was native to Seattle, Washington. Tammy Vincent reportedly contacted her sister in summer 1979, explaining her wish to return home. This was the last time she was heard from. The body was found on September 26, 1979 in Tiburon, California. Vincent was beaten, shot in the head, and stabbed 43 times; her remains were severely damaged after being set ablaze after acetone was poured on the body. Witnesses reported seeing a van speeding away from the scene. Upon the discovery of the remains on a beach, examiners could not identify the body. It is believed that she was murdered due to the fact that she was going to testify against an organized crime leader in court. The night prior to Vincent’s murder, a teen matching her description was seen accompanying a white man. The two were purchasing an ice pick as well as acetone, which were likely the same items used to murder her. After her body was found, examiners could only determine her eye color, height, weight, gender, and dental characteristics. At the time of death, she wore a black shirt, beige pants decorated with blue and red, and high heels. In efforts to identify Tammy Vincent, the body was exhumed in 2002 and was transported to Richmond, Virginia for further examination. The Center for Missing and Exploited Children created a composite image from her skull, which has been done on countless other unidentified decedents. Various other reconstructions have been created prior to the work done by the Center for Missing and Exploited Children. In 2007, DNA samples from Vincent’s mother and sister were matched to the DNA of the remains. Because Vincent’s head was severely burned, detectives were unable to collect hair samples; instead, hair from the pubic region was used to carry out the DNA test. She was cremated on August 7, 2007 and was laid to rest by her family later that month. Her ashes were flown from California to her family in Washington by detective Steve Nash, who had worked on the case since 1988.